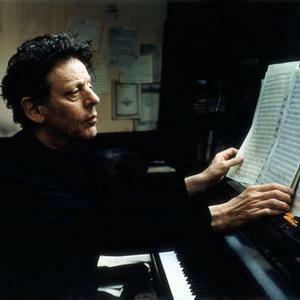 Philip Glass (born January 31, 1937) is a composer from the United States. His music is frequently described as minimalist, though he prefers to describe himself as a composer of "music with repetitive structures". Although his early, mature music is minimalist, he has evolved stylistically. Currently, he describes himself as a "Classicist", pointing out that he is trained in harmony and counterpoint and studied Franz Schubert, Johann Sebastian Bach and Wolfgang Amadeus Mozart with Nadia Boulanger. He is considered to be one of the most influential composers of the 20th century, and is described by his biographer, Tim Page, as "the first composer to win a wide, multi-generational audience in the opera house, the concert hall, the dance world, in film and in popular music -- simultaneously." Glass is a prolific composer: He has written works for his own musical group which he founded, the Philip Glass Ensemble (for which he still performs on keyboards), as well as operas, musical theater works, nine symphonies, eight concertos, solo works, string quartets, and film scores. His film scores include the "Qatsi" trilogy by director Godfrey Reggio ("Koyaanisqatsi", "Powaqqatsi" and "Naqoyqatsi"), Paul Schrader's Mishima: A Life in Four Chapters, Martin Scorsese's "Kundun", Peter Weir's "The Truman Show" and Stephen Daldry's "The Hours," in addition to a number of operas ("Einstein on the Beach" and "Satyagraha") and the quintessention of the minimalist tradition with "Music in Twelve Parts." Three of his film scores have been nominated for Academy Awards. Glass counts many artists, writers, musicians and directors among his friends, such as Richard Serra, Chuck Close, Doris Lessing, the late Allen Ginsberg, Robert Wilson, Godfrey Reggio, Ravi Shankar, David Bowie, and the conductor Dennis Russell Davies, who have all collaborated with him. He is (primarily) Buddhist and a strong supporter of the Tibetan cause. In 1987, he co-founded the Tibet House with Columbia University professor Robert Thurman and the actor Richard Gere. Radio personality Ira Glass is a first cousin of Glass.